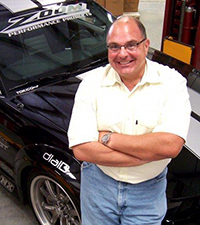 SEMA Hall of Fame - Jim Cozzie, 2014, Brenton Productions Inc..
Born and raised in the area around Philadelphia, Pennsylvania, Jim Cozzie began living out his dreams at a very early age. “I pretty much knew when I was five or six years old that I was going to do something with cars and performance automobiles, because while everyone else was reading Dr. Seuss, I was reading Hot Rod,” he said. Cozzie was 15 when his father passed away, so it was his uncle—an engineer for a company that made avionics for airplanes—who fueled his passion. “One day, a fellow engineer showed up in a ’27 Ford Roadster that had a Cadillac with trips and a LaSalle transmission, and from that day on, that was it,” he said. Cozzie worked at a service station at night and on the weekends and, as with many back in the day, the owner of the station raced a ’55 Chevy Gasser. Cozzie began attending races and soon became a racer himself. “When guys were going on dates, I was going to the dragstrip,” Cozzie joked. 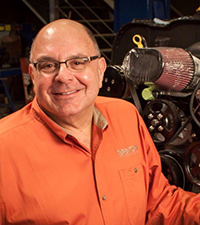 In 1978, he tried over-the-road truck driving for several years but felt compelled to work in the automotive industry. He heard about a position as customer service manager at Hurst Performance. He rose through the ranks to director of marketing for the corporation. While there, he headed every brand at one time or another and developed a racetrack supply division, which involved developing parts exclusively for drag racing, and built a list of client racers. He was also behind the development of the GM 500ci DRCE racing engine and the Hurst Olds Pro Stock team with Oldsmobile in the early ’80s. Where Cozzie ended up next was the other extreme: vice president of operations for a T-shirt company, Super Press, which was meeting the growing demand for souvenir T-shirts at races. After three successful years, he became restless for the parts business again, so when B&M Racing and Performance Products called, he answered. 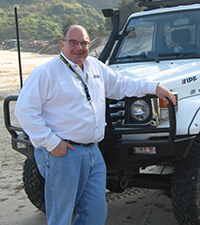 His initial regional manager position there evolved 14 years later to vice president of sales and marketing, wherein he grew the business and expanded distribution to include OE suppliers to the Ford GT and distribution programs in Europe, Australia and the Pacific Rim. By 2005, Cozzie was recruited by the performance division of Berkshire Hathaway to resurrect the Zoom Performance Products brand and guide the company through a portfolio-building program, and he became president of the enterprise. His path then turned toward automotive entertainment, first with RTM Productions and now as managing partner of Brenton Productions. Cozzie became actively involved in SEMA while at B&M, although he’d attended his first show in 1979 and hasn’t missed one since. 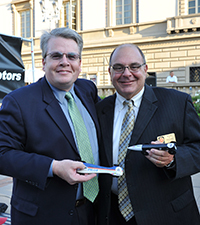 “Brian Appelgate asked me to serve on the newly formed Motorsports Parts Manufacturers Council [MPMC],” Cozzie said, and he joined the council in 1996. A year later, he became its chairman. 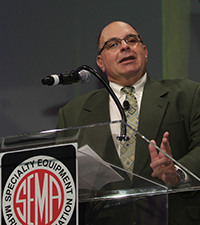 Since then, he has served on the International Task Force, the SEMA Executive Committee, the SEMA Political Action Committee, and he chaired the SEMA Show Committee. 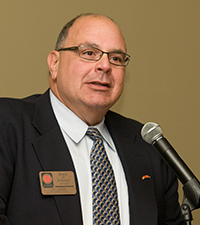 He also served multiple terms on the SEMA Board of Directors and was its chairman in 2008–2009 during the recession. 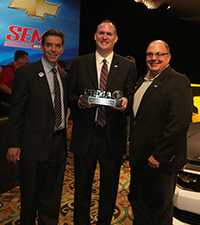 Cozzie also became a driving force behind the SEMA Education Institute and the CU-ICAR program with Clemson University. 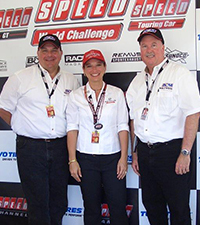 He was inducted into the MPMC Hall of Fame and, in 2004, was named the SEMA Person of the Year for his ongoing commitment.